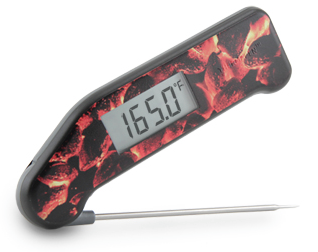 Super-Fast Thermapen fans, listen up because I have an awesome limited edition Thermapen to tell you about! This gorgeous Hot Coals design was made specifically with backyard BBQ fans in mind. 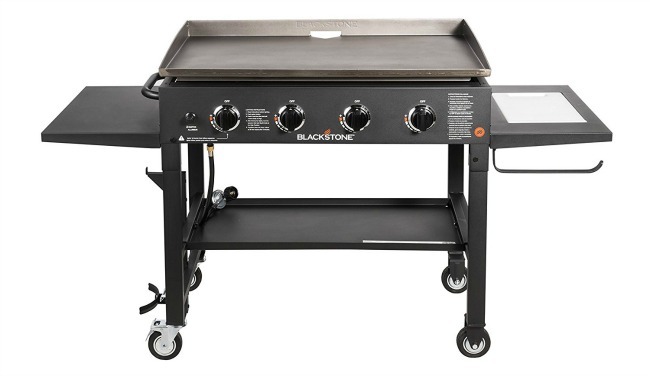 This is the perfect addition to your outdoor grilling toolkit. Remember, this is a limited edition and once it’s gone it’s gone! I’m still kicking myself for missing out on the Zebra Print limited edition one that they had a while back. If you’ve never heard of the Thermapen before, you are in for a treat because you are going to love it! Trust me, it’s the most used tool in my kitchen. Hands down! I love this thing! It is by far the fastest thermometer around with a lightening fast speed of only 3 seconds! To see a full detailed review, written by my husband, you can go to my Thermoworks Super-Fast Thermapen Thermometer post. To go buy yours now go to Thermoworks.com.